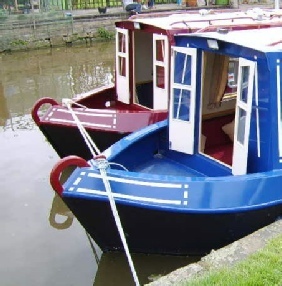 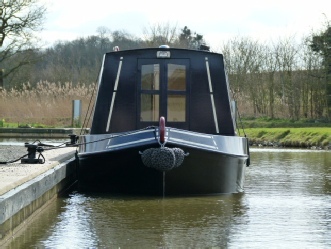 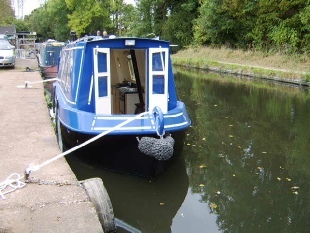 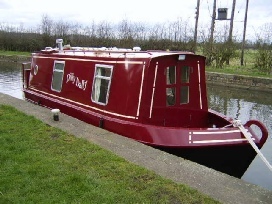 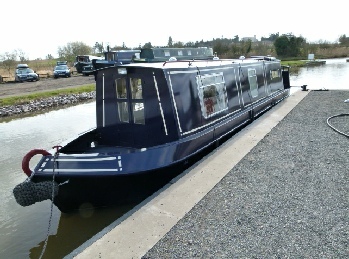 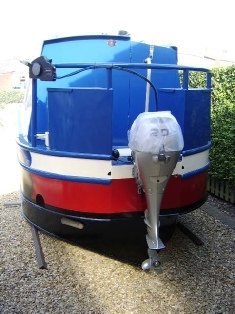 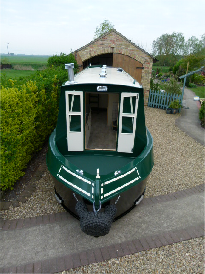 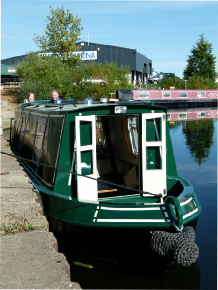 A unique manageable steel Narrowboat that combines tradition with modern needs and gives you the freedom to explore the inland waterways at an affordable price. 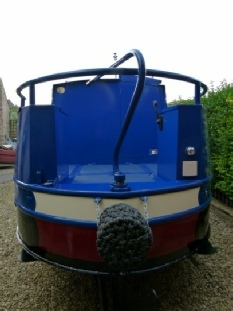 Rear view of the inboard engine model. 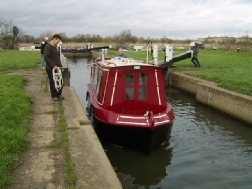 With graceful lines she looks great even amongst the big girls.